We are proud to offer our customers a large showroom of our landscaping and hardscaping products. Visit us at 1716 Northfield Road and let our staff walk you through your options, or call 250-758-2401 for details. In a DIY mood? The knowledgable staff at Sharecost Rentals & Sales can guide you through the entire installation process. We have everything you need for a successful, long-lasting landscape. Contact us – we’re here to help. Prefer to leave it to the pros? We would be happy to recommend a landscape contractor that suits the needs of your project. Get in touch with your project details and we will help you find the right installer. 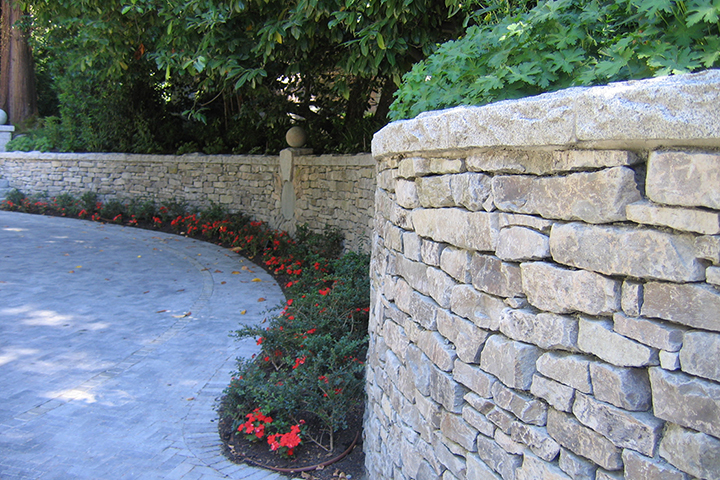 We strive to help everyone build beautiful, and long-lasting retaining wall installs. By using the right materials, applying the correct building sequence, and using the right rental tools, we will help to ensure your wall stands the test of time. Walls over 5 feet tall, or complex designs involving other landscape features can benefit from the use of excavation equipment and skilled labour to properly complete. 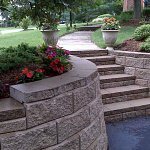 Retaining walls are most often built from the necessity to safely create flat, usable space, above or below the install. Most walls, however, CAN be built to add more than just a functional landscape transition. 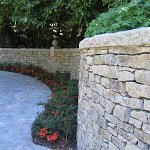 We carry a large variety of natural stone, and retaining wall blocks so that you can make your own landscaping dreams a reality! So if you’re of the motivated “do-it-yourself” mind-set, or require a recommendation for a trust-worthy contractor to help with your next install, please ask, as we are here to help. With gravels, blocks, rocks, drainage pipe, and rental equipment – from start-to-finish – we literally have EVERYTHING you need to complete your next retaining wall project – and yes, we deliver! Start at the beginning - here's a short video from Allan Block on how to install the base course. 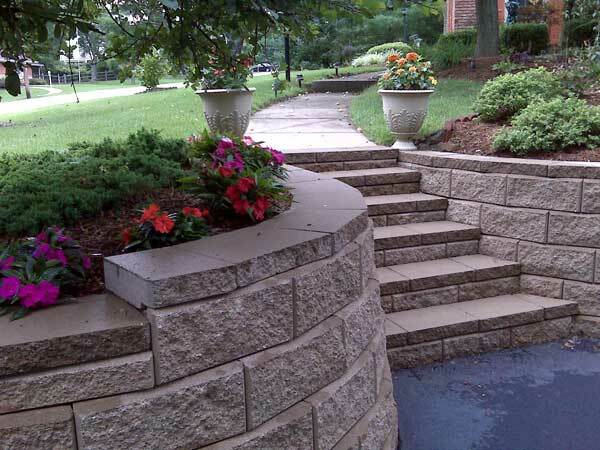 Step-by-step outline for constructing concrete Allan Block and similar-type retaining walls. Listing of engineering firms and contact details to draw up safe plans for complex designs, or walls over 5 foot tall. Provides an outline to local city bylaws regarding safe wall building. Outlines the set-up of our concrete forms that are available for rent - build a wall, garage, or house!